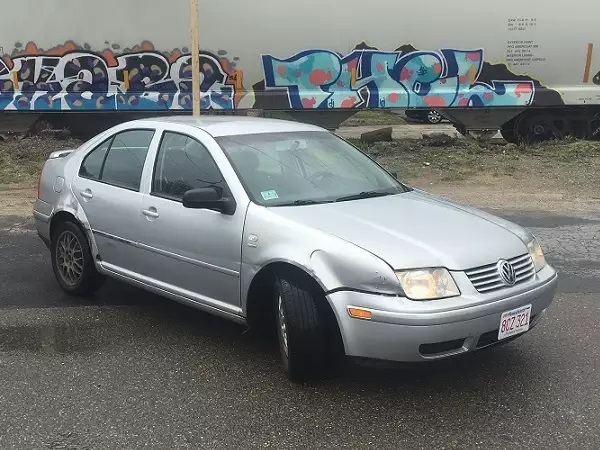 Less than a year ago, my wife and I picked up a 2003 Volkswagen Jetta Wolfsburg Edition for just $600. Sure, it ran a little rough and had a few dents, not to mention enough miles to have gone to the moon. But we saw the potential in it for a project I'd had my eye on for years: the Smyth Performance Ute kit. After driving one at a local SCCA rallycross I liked it so much I had to build one of my own. We've taken you along for the ride as the project has progressed during the year. Here's what we've done so far. I received my kit in late May. We began by showing you what's included in the kit before any work began. Then I stripped the back half of the car. Seats, trunk interior trim, trunk lid, tail lights... It all had to go. Once stripped to bare metal, it was time to measure where I would cut the top rear quarter off the car. I committed and cut up the car. With a little help from my stepson, I began riveting and bolting on the bed and other structural components. I added a trailer hitch and wired up the new tail lights. Bodywork began, but I used the Jetta to take out the trash during the process. Once the new side and rear body panels were attached, it was time for a test drive. I screwed up installing the back window but caught my mistake before it was too late. With all major components attached, I moved on to details like installing a ham radio, third brake light, tailgate badge, and more bodywork. I started driving the Ute regularly and had a roadside discussion with local law enforcement about it. Though the aluminum bed won't rust I sprayed it with bed liner and installed a functioning stereo. I upgraded the terrible stock headlights and finished painting the entire car in black primer. That is where we left our story in October. Then the exhaust broke in half, so I took it to my friend's shop to replace it, as well as diagnose why the engine is running so rough. That is where it sits now. We're far from done with this project, though. 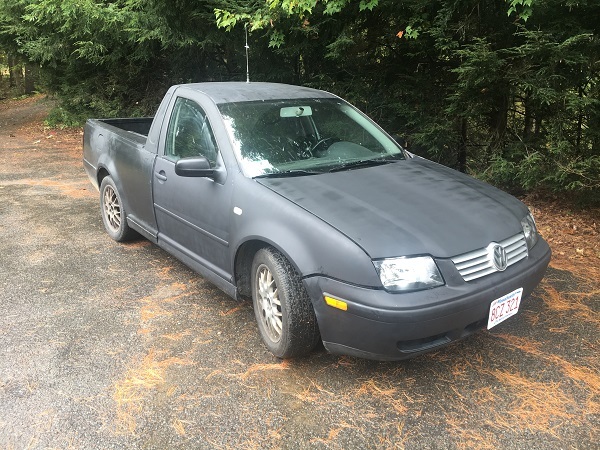 The cold temperatures of a New England winter now prevent me from doing any major bodywork, but there is plenty left to do to make the Ute look good instead of something out of Mad Max. I intend to raise the ride height for dirt cheap, downgrade from 16- to 15-inch wheels, and add some more aggressive tires. The Jetta in its current form is virtually unrecognizable from the car we bought last January. It's been a fun project, and certainly the absolute best project of 2017. Sure, since I left my Subaru WRX alone, the Jetta was the only project I had in 2017. But it's still the best one.